Join Easterseals at Bright Stars Presented by M&T Bank on February 14 and help send children with special needs to Disney on Ice: Worlds of Enchantment at the Capital One Arena. This annual event is a magical night in the nation’s capital for more than 10,000 children and adults with disabilities, including wounded warriors, active duty military, veterans and their families. 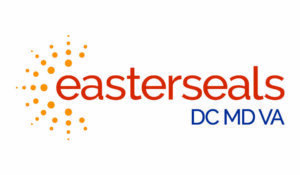 With 6 locations across DC, Maryland, and Virginia, Easterseals is a trusted partner in the community, providing exceptional services to ensure that all people with disabilities or special needs, and their families, have equal opportunities to live, work, and play. Funds raised from this event support our essential, intensive, and comprehensive programs and services including: Child Development Centers, Adult Day Centers, Military and Veteran Services, and Caregiver and Respite Programs. To donate and purchase tickets for the event, or for more information about Easterseals Serving DC|MD|VA go to www.brightstarsdc.org or www.eseal.org.